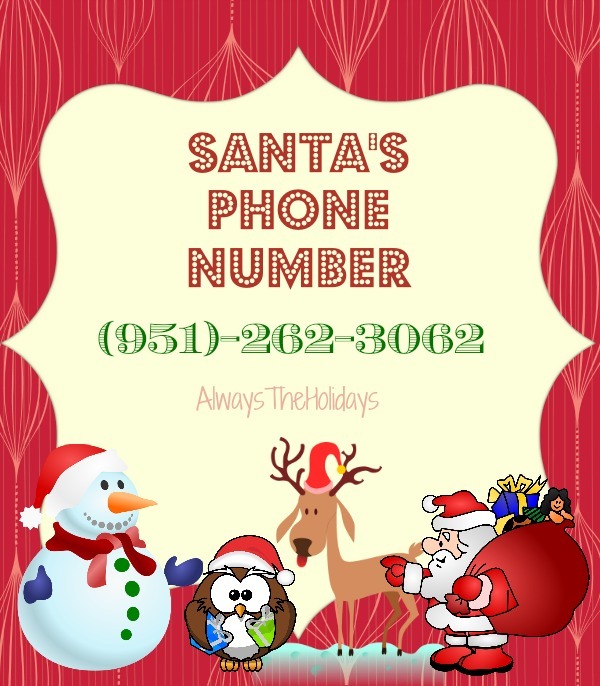 Be sure to Give Santa a Call on his special Phone Number! Hey kids! Did you know that Santa has his very own phone number? You can give him a call at the North Pole and he’ll wish you a Merry Christmas and ask you to leave your wish list in a message. It is that time of the year, when Santa and his magical elves are hard at work making toys for all the good boys and girls. Imagine your child’s glee when you tell him that he can actually call Santa! 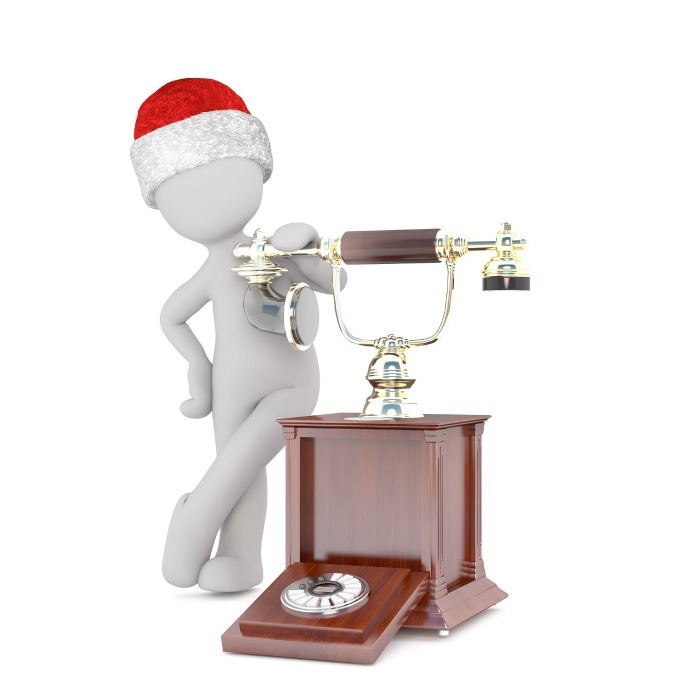 When you dial this special phone number, you will hear Santa laughing and wishing you a very merry Christmas. But be careful! He knows who has been naughty or nice and he will let you know this during the phone call. Just call (919)262-3062. (Long Distance rates may apply. The call will go to Riverside, California but will then get rerouted to the North Pole!) It will be such a treat to watch the delight in your child’s eyes hearing Santa speaking to them! For more Christmas fun, be sure to visit my Facebook holiday page. For more fun, let your children watch this Video from Santa. He has some special qualities that he wants the children to remember!